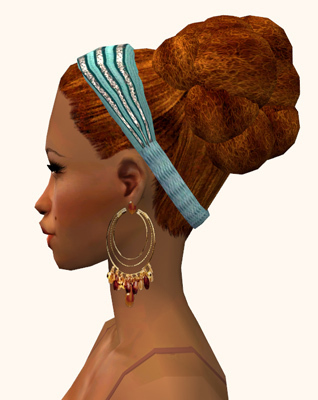 Mod The Sims - Nouk Afro Knot Hair - Nice Afro hair for ladies of all ages! Yep, that's what it is! Your sim ladies aged toddler to elder will love this cute natural hairstyle. It's such a pity to see all dark beauties straighten, relax, weave and curl their hair... even ingame! So here it is! * Do not upload as part of a payfile or inside a payarea on a site! No Exchange either! Enjoy, and don't forget the Thank You' button! 5859 people have said thanks to Nouk for this download.